Representatives from your EPA Regional office, state environmental agency, regional air district or local sewer authority may show up at your door one day to conduct an environmental compliance inspection. Knowing what to expect during and after the inspection can help reduce the apprehension you may have about the process. While the scope and intent of environmental compliance inspections may vary, this section will help prepare you for inspections and provide you with contacts for further information. EPA and many states have policies and laws that allow businesses to self-disclose violations of environmental regulations that are detected through internal inspections, which may ultimately reduce associated penalties. These "self-audit policies", including EPA's Small Business Compliance Policy, are discussed in this section. Links to self-assessment resources are also provided to help companies identify potential violations and remain in compliance. Why is my business being inspected? What should I expect during the opening conference? What kinds of records will the inspector review? What should I expect during the interview and facility tour? Will the inspector collect samples of anything? Will the inspector take photographs? What should I expect during the closing conference? Inspectors from various federal, state, regional and local agencies have the legal authority to enter a facility or private property to conduct an inspection to determine compliance with environmental laws, rules, and regulations. Most often, inspectors are concerned with potential hazardous waste violations, air pollution, or water pollution, including stormwater. Other, less common, but potential areas of interest include oil storage tanks, hazardous chemicals, asbestos, and pesticides. 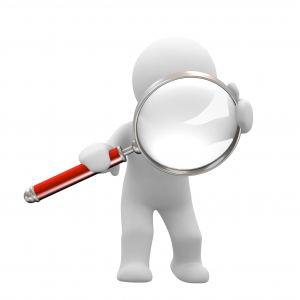 Inspections are usually not pre-arranged but generally occur during regular business hours. In the event of a spill or other emergency, however, an after-hours inspection may be necessary. Upon arriving at the business, the inspector will ask for the facility environmental coordinator or person in charge. The inspector will identify his or her official title, and discuss the scope of the inspection activities; all inspectors have official photo identification. In most cases, a single inspector will evaluate only one area of environmental compliance. One or more inspectors may show up to evaluate compliance with all environmental media laws such as those relating to air, water, and waste. This type of inspection is called a multi-media inspection. These inspection components and information about sampling and photographing during the inspection are discussed below. TIP: Your next inspection may be today. Be certain that your facility is in compliance and prepared for the inspector. Consider developing a self-assessment program at your facility to ensure that you are complying with environmental requirements. The self-assessment can improve your compliance and also identify pollution prevention opportunities that can reduce your operating costs. Unprompted inspections of regulated activities by an authorized agency to determine compliance with specific requirements. Some agencies perform inspections on a set schedule, for example, once per year or once every five years. In other cases, their may not be a set frequency. Compliance inspection for a permit application filed for your facility. Follow-up inspections to check on prior violations. Response to a citizen or employee complaint. Referral from another federal, state, or local agency. TIP: During the opening conference, ask the inspector about any questions or concerns you may have about an inspection, such as business confidentiality issues. Also be sure to inform the inspector of any safety procedures established for your facility. Each inspection begins with an opening conference. This may range from a formal meeting to a brief, informal discussion of the plan for the inspection. It is helpful to include the environmental and safety officer and any other employees who have knowledge of the environmental activities at your facility at the conference. The inspector may ask about facility operations, including plant layout and processes, management structure, plant safety, and other information relevant to the inspection. The inspector will also identify records he or she will want to review and may either make copies of the records or discuss how copies will be made. Since the inspector will prepare a written report after the inspection, he or she will take notes throughout the entire inspection. The inspector will record information such as facility contacts, plant operations and discussions with facility representatives. TIP: Keep your environmental records organized and readily accessible. This will keep the inspection time-efficient and enhance your ability to comply with recordkeeping requirements. Inspectors will be looking for past records (up to 3 to 5 years old) as well as current records. The inspector will compare information contained in the records with what he or she has observed at the facility. It is likely that the inspector will request copies of most of the documents he or she reviews. If you do not have a copy machine at your facility, you and the inspector can discuss other options for making copies. TIP: It is recommended that the compliance manager is the only person to interface with the inspector. However, if you plan on having any facility personnel explain how something is done, then be certain that you know exactly what they are going to say before they say it. It is important to provide accurate answers to the inspector's questions. If you do not know the answer, either obtain the answer from someone who can respond or tell the inspector that you will provide a response at a future time after talking to appropriate facility personnel. TIP: If the inspector collects samples, you will be offered the opportunity to collect duplicate or split samples of the inspector's samples and have them analyzed. You will be required to provide your own sample containers and analytical services. The inspector has the legal authority to obtain samples of environmental media such as wastewater discharges, waste materials, or air emissions. Sampling is often conducted to document potential evidence of noncompliance or compliance with laws or a permit but can be conducted at the discretion of the inspector. The inspector will carefully document all sampling activities and chain-of-custody procedures will be followed to ensure the validity of the sampling results. TIP: Keep a log of photographs taken by the inspector and take duplicate photographs for your own records. The inspector may take photographs of facility operations and environmental activities such as waste treatment, disposal, or storage areas; air pollution control devices; and wastewater treatment equipment. Photographs document activities the inspector observes during the inspection and provide a valuable record of your facility's environmental compliance. If the inspector takes photographs, you can also take photographs of the subject. You may request that the inspector refrain from photographing proprietary processes not essential to the inspection. If the inspector requests to take photographs of a confidential activity or operation, inform the inspector immediately so that he or she can document the request for business confidentiality. TIP: You should always have a closing conference. If the inspector doesn't plan for one, then you should request it. A conference at the end of the inspection presents a good opportunity to learn what the inspector observed and what they plan to do with that information. After the inspector has interviewed facility personnel, toured the facility, and collected samples (if necessary), he or she will conduct a closing conference. This conference may range from a formal meeting to a brief, informal discussion. The inspector may review his or her observations and request clarification. The inspector will also identify if further information is needed and coordinate with you regarding when that information will be provided. The inspector will provide general observations about any problems observed at this time, but the final compliance evaluation will be performed after the inspection. TIP: A facility inspection can be either the beginning or the end of the agency's enforcement process. Based on what happens and what the inspector finds during the inspection, the agency will decide what to do next. It could decide that further investigation is necessary, or even that enforcement action is appropriate. Accordingly, it is essential that a company do everything possible to be prepared and responsive before, during, and after an agency inspection. Businesses are often concerned about what may happen after the inspection if problems are found. It is unlikely that the agency will take steps to stop activities at a business unless those activities are causing or contributing substantial harm to the environment or public health and welfare. If violations are found during the inspection, the agency will follow up with actions aimed at correcting the problems. A written notification will be sent to the facility that explains the alleged violations and it may recommend how to correct the problems. The facility may request a meeting with the agency to discuss the alleged violations, the recommended corrective actions, and the timeframes for implementation of corrective actions. EPA's policy on "Incentives for Self-Policing: Discovery, Disclosure, Correction and Prevention of Violations," is commonly referred to as the "Audit Policy". Unlike the Clean Water Act, Resource Conservation and Recovery Act (RCRA), and the Clean Air Act, the Audit Policy is not a law. Rather, it is a formal statement by EPA explaining the incentives and conditions for self-disclosure of environmental violations. Because the Audit Policy is not a law, EPA can use its discretion, which may or may not work in your favor. However, to date, the policies have been applied on a consistent basis and have proven to benefit some companies. The Audit Policy applies to settlement of claims for civil penalties for any violations under all Federal environmental statutes that EPA administers. It provides incentives (relief from penalties) when regulated entities discover, disclose, and correct certain types of violations. The Audit Policy does not cover all types of environmental violations and nine conditions exist that limit its applicability. Listed below are the incentives and conditions. Elimination of 100% gravity-based penalties (that portion of fine related to violation itself) when all nine conditions (see below) are met. EPA may still levy a fine for any economic benefit that may have been realized as a result of non-compliance. Where violations are discovered by means other than environmental audits or due diligence efforts, but are promptly disclosed and expeditiously corrected, EPA will reduce gravity-based penalties by 75% provided that conditions 2 through 9 are met. EPA will generally not recommend criminal prosecution provided that conditions 2 through 9 are met. The violation must have been discovered through either an environmental audit or activities associated with an Environmental Management System (EMS). The violation must be discovered voluntarily, not through monitoring, sampling or auditing that is required by law. The violation is disclosed in writing to EPA within 21 days. The violation must have been discovered before EPA or other regulatory agency would likely have identified the problem (e.g., does not qualify if EPA is already investigating the facility). Must correct the violation within 60 days. Must agree to take steps to prevent reoccurrence. The same or closely-related violation must not have occurred at the same facility within the past 3 years. Not applicable to violations that result in serious harm to the environment. Companies that wish to take advantage of the Audit Policy should fax or send a written disclosure to the appropriate EPA contacts. Written disclosure must be made within 21 days of the violation's discovery. Alternatively, EPA is piloting a web-based Electronic Self-Disclosure system to allow companies to self-disclose violations under EPA's Audit Policy. The Small Business Compliance Policy is similar to the Audit Policy, but it is tailored to small business; it is shorter and simpler and it is easier to qualify for incentives. The Small Business Compliance Policy is available to companies with 100 or fewer employees (across all facilities and operations owned by the small business). The Small Business Compliance Policy states the EPA will eliminate or reduce the gravity component of civil penalties (that portion of fine related to violation itself) against small businesses when certain conditions are met. EPA may still levy a fine for any economic benefit that may have been realized as a result of non-compliance, although they anticipate that this will rarely occur. Cal/EPA offers a fee-for-service audit/due diligence review that involves the opportunity for facilities which have established an audit/due diligence program to receive certification from Cal/EPA of the adequacy of their program prior to any reporting of a violation discovered through the audit/due diligence process. Cal/EPA allows for up to a 90% reduction in gravity-based penalties for companies that choose to invest in pollution prevention programs. For states that have adopted their own audit policies in federally authorized, approved or delegated programs, EPA will generally defer to state penalty mitigation for self-disclosures as long as the state policy meets minimum requirements for federal delegation. Twenty-six states have passed self-audit "privilege" and/or "immunity" laws. Most privilege laws protect the disclosure of audit reports. For example, in some states, under specified conditions, an audit report is not admissible as evidence in any civil or criminal proceedings. In most cases immunity state laws, under certain specified conditions, gives a person immunity from fines and in some cases criminal penalties related to non-compliance provided that when the information arises from a self-audit that person makes a voluntary disclosure to the appropriate agency. In exchange, companies may be required to implement pollution prevention and/or an environmental management system. EPA maintains a list of states with self-audit and disclosure policies. EPA has published audit protocols to assist the regulated community in evaluating their compliance with environmental requirements under federal law. The protocols are intended solely as guidance in this effort. The protocols do not cover state regulations, which may vary from the federal rules. EPA's audit protocols are designed for use by persons with various backgrounds, including scientists, engineers, lawyers and business owners or operators. These protocols provide detailed regulatory checklists and are provided in an easy to understand question format for evaluating compliance.